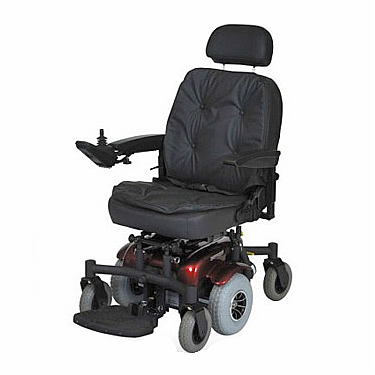 We proudly supply some of the highest quality electric wheelchairs in Greasby and surrounding areas. If for any reason you cannot walk and are confined to a room we can make a difference to your life with an electric wheelchair. They are compact and lightweight but powerful enough to use indoors or outdoors thereby giving the user a much wider range of options. It can be disassembled quickly and easily for transporting in a car with the heaviest component weighing only 15 kg. The width of the electric wheelchair is the seat width plus 170mm which makes it narrow enough to manoeuvre in tight spaces. The entire machine disassembles into 6 component parts that are easily re-assembled. It has either a 14 km or 30 km range depending on the battery chosen and the weight of the user and the terrain traversed. Most people with reduced mobility want to be as independent as possible and be able to move around without others having to help them. In Greasby, electric wheelchairs can make this a reality. The chairs are available in a wide range of seat sizes for adults or children. The chair also has adjustable armrests that can be configured to suit the user as well as various sitting positions. The chair can be attendant driven if necessary and has anti-tipping mechanisms to stop the chair from tipping over. The chair can also convert to a manual self propelling wheelchair if the user recovers significant mobility to be able to propel themselves. If you have temporary or permanent trouble getting around we have electric wheelchairs in Greasby. Contact Easi-Way Mobility today or visit our showroom where we have selected superior powered and manual wheelchairs, scooters, power chairs and riser-recliner armchairs as well as a wide variety of other quality mobility equipment. We are also stockists of the quality TGA range of mobility equipment. We are a family run business that is very proud of our exceptionally high standard of customer care and quality products. Our business has been helping people for over 30 years to make the best of their situation and be as independent as possible.